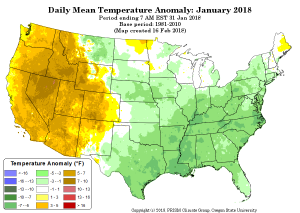 The latest release by the U.S. Drought Monitor kept most of Colorado in some sort of drought status, the biggest change was that areas of moderate and severe drought began to creep North towards the central and Northern part of the state. 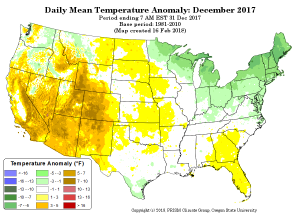 The latest high plains update mentions deterioration of conditions in areas like Texas, Oklahoma and Kansas along with Colorado. 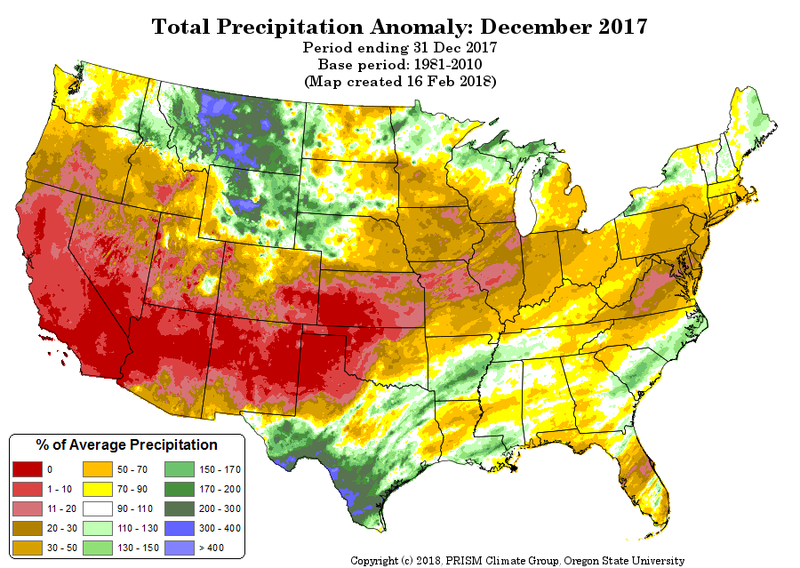 To put it simply, fall and most of winter were absolutely brutal for precipitation around Eastern Colorado. 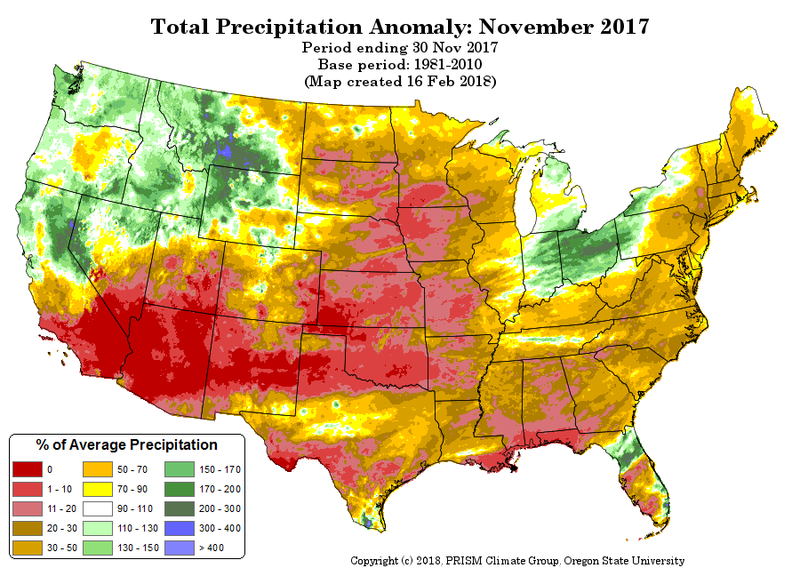 Many areas saw between 0%-20% of average precipitation for several months in the fall and winter… November and December were particularly brutal. November % of average precipitation. 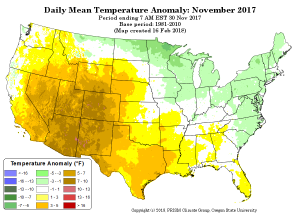 Most of Eastern Colorado was below 30% of normal. November 2017 was absolutely scorching for nearly all of Colorado. 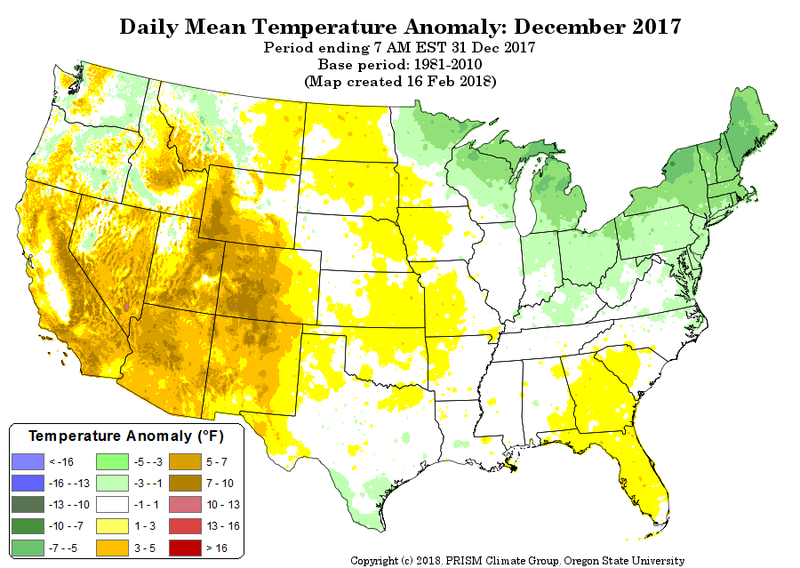 Below average snow and well above average temperatures are why our mountain snowpack never really got going this year. January 2018 was another above average temperatures month, surprisingly snowfall was close to average for many locations along the Palmer Divide. 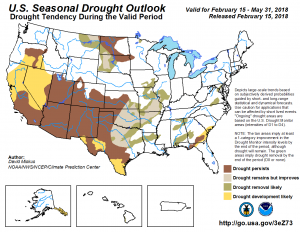 The Climate Prediction Center’s outlook for spring was released recently and paints a pretty abysmal picture for our drought conditions at least through the end of May. 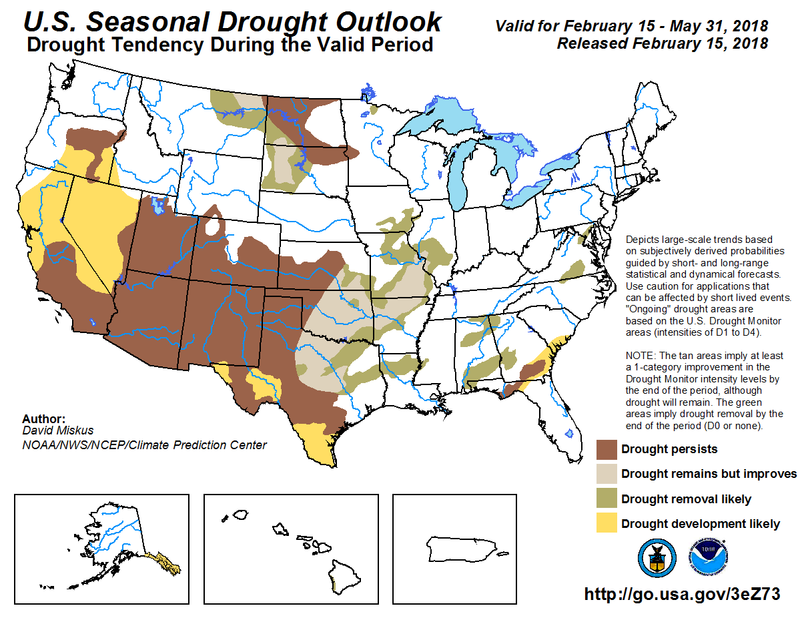 CPC says drought conditions likely to persist for Colorado at least through the end of May. That’s not to say we will see no rain and snow at all over this period, it just means that if you take monthly precipitation we get from March through May it is highly likely we will end up below or well below average. This graphic is indicative of the pattern we are seeing set up over the next couple of weeks, areas like California and Nevada look to get decent amounts of moisture but a lot of that will wrap around to the North of Colorado. 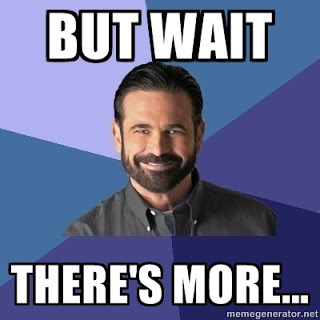 Models do show a couple chances at storms later into March (think after March 15) but given the overall weather pattern we are a bit skeptical about their ability to organize into anything substantial. 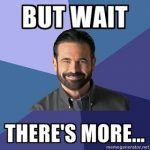 We will keep a close eye on these storms in case any of them start to show promise. In the meantime, enjoy the warmer weather and be careful with those fires and sparks!